With the third wave of coffee just beginning to sweep through Buffalo, you may feel the need for a college-style course in all things java. 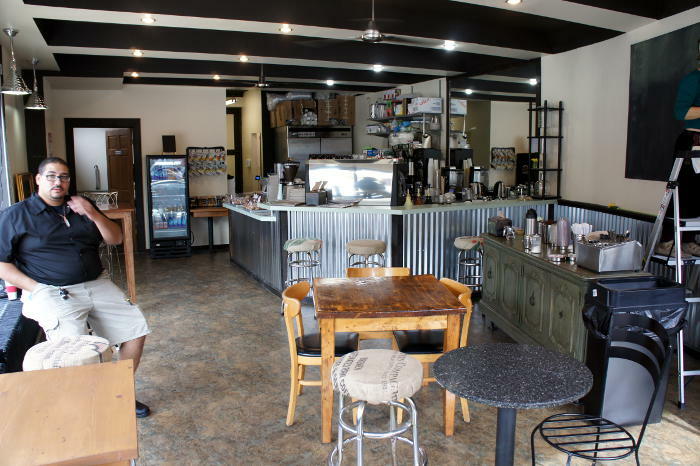 Luckily, Caffeology in Allentown is here to get you up to speed on what coffee nerds outside of Buffalo have been raving about for years. 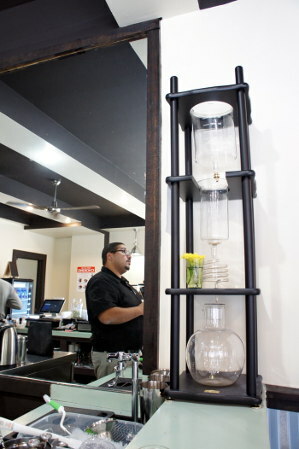 In particular, the new café is the first in the area to feature both Japanese-style slow drip coffee and vacuum-brewed, or siphon, coffee. Slow drip coffee takes the slow food movement approach to your favorite brew – dropping water over precisely-ground coffee at an agonizingly slow pace. 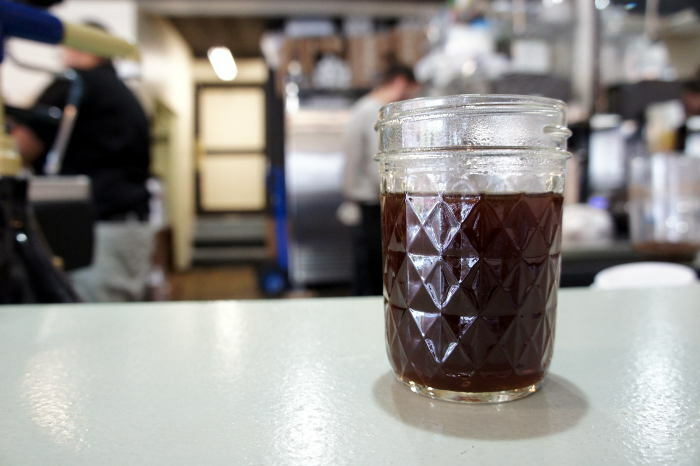 At Caffeology, it takes 11 hours to complete a batch of concentrated slow-drip coffee. That concentrate can then be diluted down or served straight – either hot or cold. 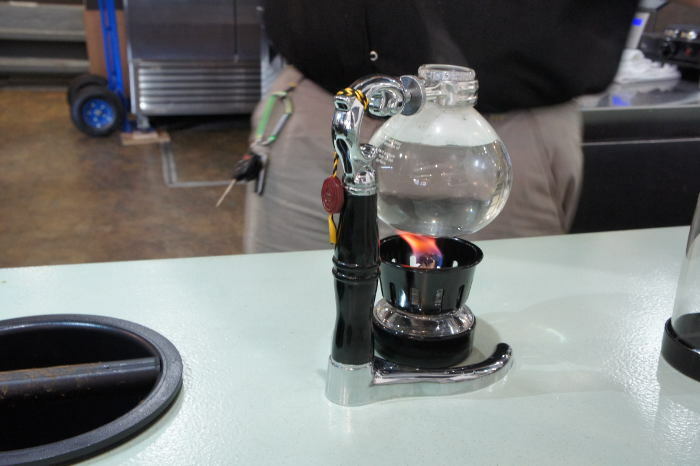 Siphon coffee has been around for more than a century, but largely fell out of favor in the 1960s, when fast, cheap coffeemakers became the preferred way to get the java fix. The cult of siphon coffee began growing slowly in the 1990s and now it’s seen as a staple in hyper-serious cafes around the world. The brewing process starts with fully immersing the grounds in water. 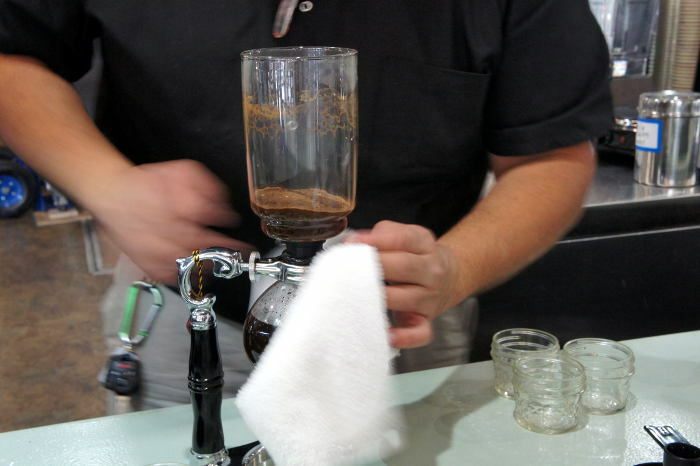 Then – after a period of time – coffee is siphoned away from the grounds. 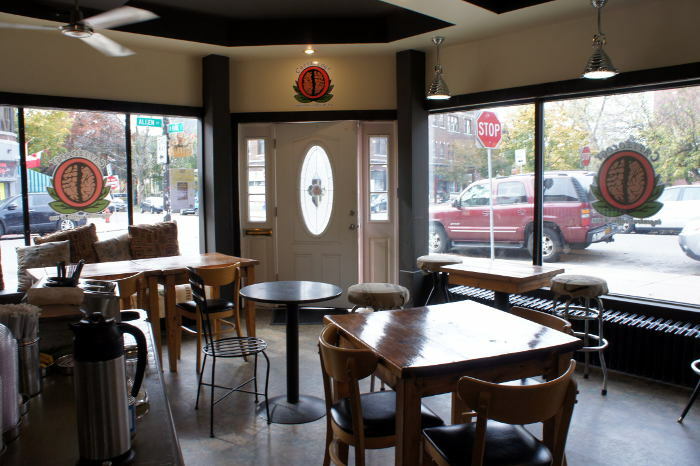 As I walked up to Caffeology earlier this week, someone had left the door to the café wide open – letting the brisk yet comfortable fall air cycle in and out. 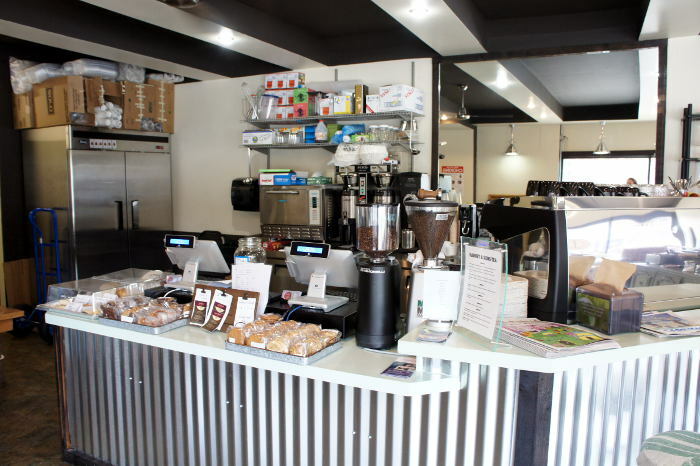 That exchange of air and energy is also at the core of Caffeology’s mission, owner Hamada Saleh told me in a recent interview. 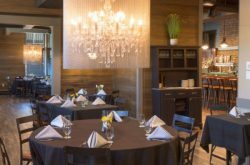 In addition to embracing the trendier aspects of the third wave of coffee, the café also serves more traditional espresso drinks, as well as Turkish coffee – a time-honored way of brewing that appears to only available at this café. 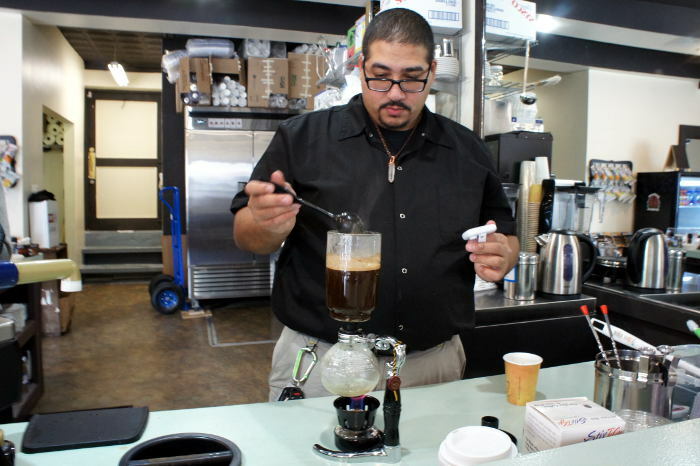 “My passion is coffee; so I’m going to try to present it in as many ways as possible,” he said. 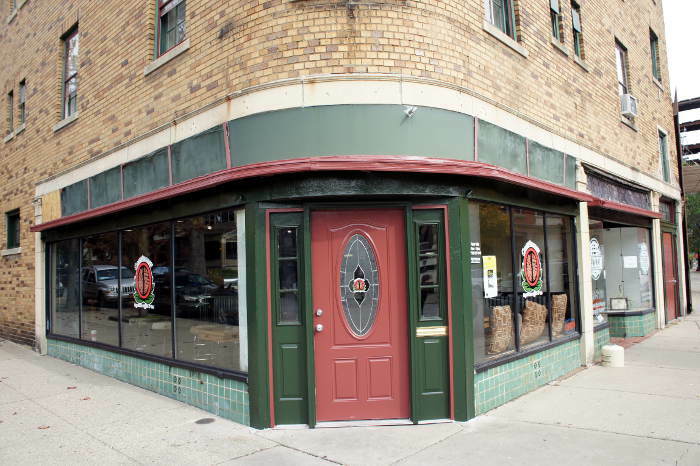 In addition to working and managing coffee shops for years, Saleh’s bona fides include a graduate degree in microfinance from the University at Buffalo. While he has worked in the financial field – Saleh told me working in a café is so much more gratifying for him personally. “Caffeine is one hell of a drug,” he added with a smile. 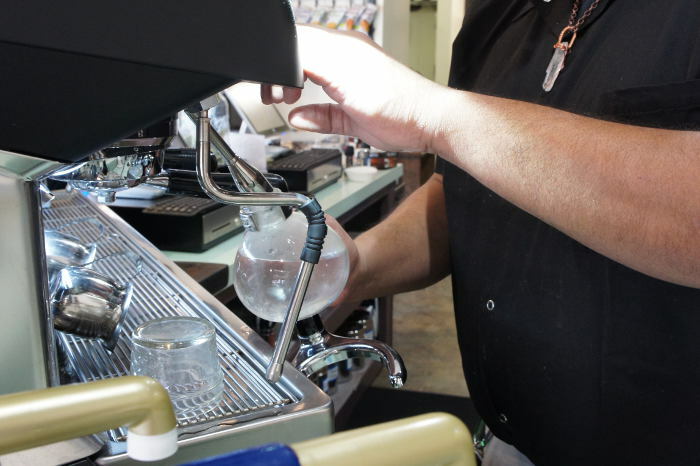 Saleh said experimenting with roasts and brewing methods is one part of Caffeology’s mission statement, and another part is giving customers a wide range of options. For example, people looking to avoid caffeine can try a drink made with red espresso – a naturally low-caffeine brew made from Rooibos tea, which is popular in South Africa. 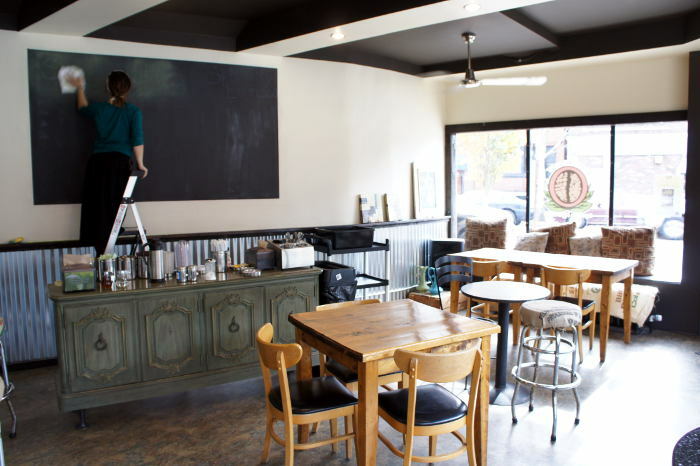 The café also serves lattes made form concentrated Earl Grey and green teas. 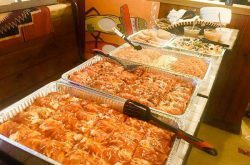 While the café may have its brew options pretty much nailed down, it is still in the process of sorting out its food options. Saleh said he is still working on partnering with a local bakery to provide fresh baked goods and breakfast sandwiches to his customers. 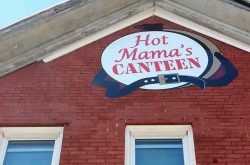 It’s a safe bet to assume those food options will be just unique as the café’s drink array. “You gotta be different to stand out, and in Buffalo it’s easier to do that because people love what’s different here,” he said. Saleh suggested people keep an eye on Caffeology’s social media profile to stay up to date as he plans to grow the café’s unique culture beyond food with open mic events, barista competitions and even classes for people looking to up their coffee game at home. For more information about Caffeology, visit their website and follow them on Instagram, Facebook and Twitter!